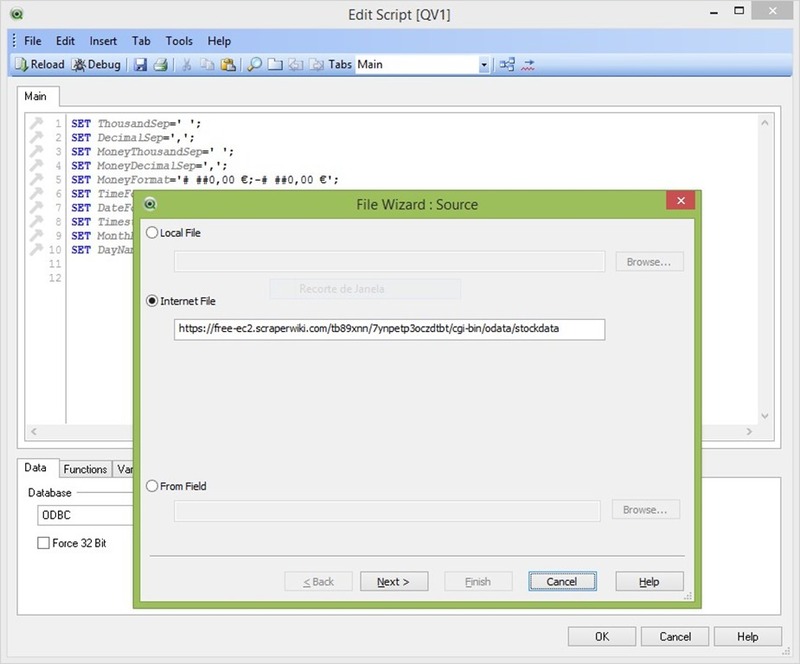 This is a guest post by Nuno Faustino who shows how to connect QlikView to ScraperWiki using our new Odata connector. The first step is to collect some data using the ScraperWiki Platform, the demonstration here uses the our new US Stock Market data tool but could equally well have used the Twitter Follower or Twitter Search tools. 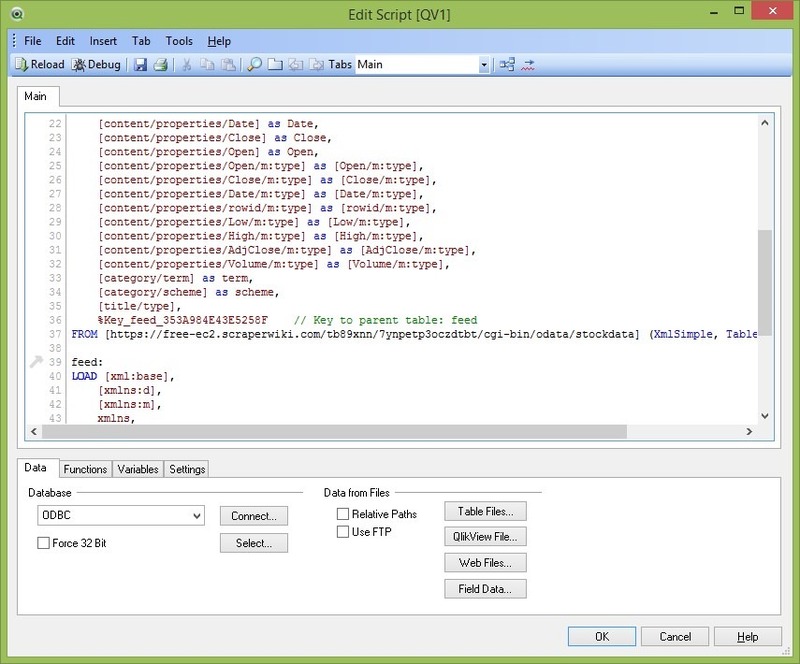 To connect Qlikview to ScraperWiki you should install the OData tool on the dataset on the ScraperWiki Platform and paste the link provided in File > Edit Script > Web files (in the Data pane at the bottom). For each table you have in your dataset there will be a different link. On the next dialog page just choose “feed” and then “Finish”. You will end up with and apparently complicated piece of code in your browser, but with this you only need to eliminate all rows which do not contain content/properties and also those who end in m:type. 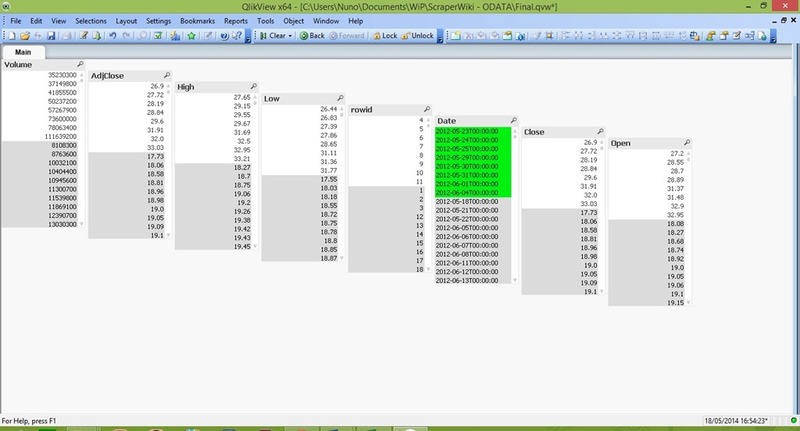 After saving and reloading, you have all your data ready for action in Qlikview.